Host Group Real Estate, LLC., is fully approved as a Real Estate School, licensed to teach Real Estate Salesperson and Broker Pre-Licensing Continuing Education, as well as Mortgage Loan Originator Pre-Licensing (license number 1230, Commonwealth of Massachusetts). 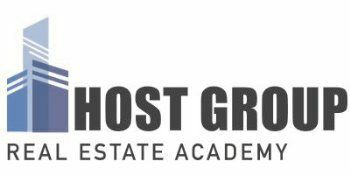 Established in 2008, over 2,500 students have completed real estate and mortgage courses at Host Group. In 2013, 2014, 2015 Host Group was named one of the best Residential Real Estate Education Providers and Commercial Real Estate Education Providers by Banker & Tradesman. The school boasts one of the highest pass rates in the Commonwealth, and offers a popular lifetime audit policy for all of its students. Host Group continues to partner with local corporations to offer private training sessions for their employees, and its instructors are active professionals in the real estate and mortgage industries. LOOKING FOR A FIRM? WE HAVE MANY CONTACTS IN THE INDUSTRY TO HELP ASSIST OUR STUDENT BODY IN LOCATING AND SELECTING THE PERFECT BROKERAGE OPERATION. HAVING TROUBLE PREPARING FOR YOUR EXAMS? PRIVATE LESSONS, VIDEO CRASH COURSES & ONLINE TUTORING AVAILABLE! TAKE OUR LIVE BOSTON EXPERIENCE - NOW ONLY $249!